Last year I decided I HAD to do something about my physical TBR shelves. Each month I do a quick update as part of my monthly round-up post but I’ve been slacking lately and haven’t done one since October! What should I read next or skip entirely? OK so this topic is kind of perfect because I’ve been meaning to do a little gift guide for a while. I’m an affiliate of Waterstones, The Book Depository, and Foyles and I don’t promote them as much as I should so in the spirit of full disclosure, unless otherwise stated, all of these links are affiliate links and should you purchase anything from the sites I will get a small (really, very small) commission. Jamie Oliver’s Christmas Cookbook is packed with all the classics you need for the big day and beyond, as well as loads of delicious recipes for edible gifts, party food and new ways to love those leftovers. It’s everything you need for the best Christmas ever. Who for: Secret Santa; The In-Laws, that weird person in your life that doesn’t read fiction. Joe Wicks is a man on a mission. His goal is to get the world away from fad diets and miserable calorie-counting and into a pattern of healthy, sustaining eating and to become fitter, stronger and leaner. Joe Wicks aka The Body Coach has inspired thousands to transform their bodies by shifting unwanted fat and building lean muscle and now he’s taking what he’s learned to the next level. Who for: Your health-conscious friend / your friend that fancies Joe Wicks. Stepmothers, dark forests, strange beasts, broken promises, sinister brides, castle turrets, princes on horseback, magic lamps, industrious dwarves and a frog king. Collected and adapted from German folk tales, these imperishable stories can be read over and over again. The Ripley’s Believe It or Not! annual has now firmly established itself as a Christmas must-have, with an ever-growing army of loyal fans. Following hot on the heels of last year’s Top 10 best-seller, Ripley’s Believe It or Not! 2017 offers a completely new compendium of strange but true facts and amazing stories, ranging from the Polar Bear robot, to the edible human skull, to the woman who still suffers from sea-sickness three years after her last boat trip, to the Swiss daredevil who soars over famous landmarks in his custom-made jet pack. In this gripping page-turner, an ex-agent on the run from her former employers must take one more case to clear her name and save her life. She used to work for the U.S. government, but very few people ever knew that. An expert in her field, she was one of the darkest secrets of an agency so clandestine it doesn’t even have a name. And when they decided she was a liability, they came for her without warning. Now she rarely stays in the same place or uses the same name for long. They’ve killed the only other person she trusted, but something she knows still poses a threat. They want her dead, and soon. When her former handler offers her a way out, she realises it’s her only chance to erase the giant target on her back. But it means taking one last job for her ex-employers. Experience the endlessly imaginative world of Jim Henson’s Labyrinth through the eyes of its most fantastical and beloved characters! Witness a day in the life of Sir Didymus, the recklessly heroic fox-terrier; Ludo, the lovable oaf; Hoggle, an ever loyal companion; and others as they play games, work together, and revel in the magic of the labyrinth. Written and gorgeously illustrated by acclaimed children’s book illustrator Cory Godbey (Have Courage, Be Kind: The Tale of CinderellaI), Jim Henson’s Labyrinth: Tales takes readers deep into the adventure where magic knows no bounds. Who for: Me! 😉 or anyone who has ever hailed Labyrinth as the best film ever! The year is 1869. A brutal triple murder in a remote community in the Scottish Highlands leads to the arrest of a young man by the name of Roderick Macrae. A memoir written by the accused makes it clear that he is guilty, but it falls to the country’s finest legal and psychiatric minds to uncover what drove him to commit such merciless acts of violence. Was he mad? Only the persuasive powers of his advocate stand between Macrae and the gallows. Graeme Macrae Burnet tells an irresistible and original story about the provisional nature of truth, even when the facts seem clear. His Bloody Project is a mesmerising literary thriller set in an unforgiving landscape where the exercise of power is arbitrary. Who for: The perfect ‘I can’t think of anything else under £5’ gift. This week the topic is: Top Ten Books on your Fall/Autumn TBR List. Oh here we go, another TBR list that will never actually be completed…probably. I read five books from my Summer TBR list so that’s not entirely terrible…right? Anyway, here are the top ten books I aim to read this Autmn. Most of them are for Horror October. “Enter the magical world behind the Mirrors…” Revised and updated by Cornelia Funke, The Petrified Flesh is the first book in the thrilling Reckless series. “Someone has begun targeting vampires. Are you looking forward to any of these? This week the topic is: Top Ten ALL TIME Favourite Books of X Genre. I’ve chosen fairy-tales. Ok so confession time. I have done list before for an actual fairy-tale TTT but I really couldn’t decide what genre to do and when I compiled the list the first time round I hadn’t read what are now some of my favourite books… so I have at least changed it a bit. Promise. I LOVE fairy-tales and really like modern re-tellings but they don’t always work. Here is my ultimate list of my favourite books that have been inspired by fairy-tales, as many of them aren’t actually re-tellings. 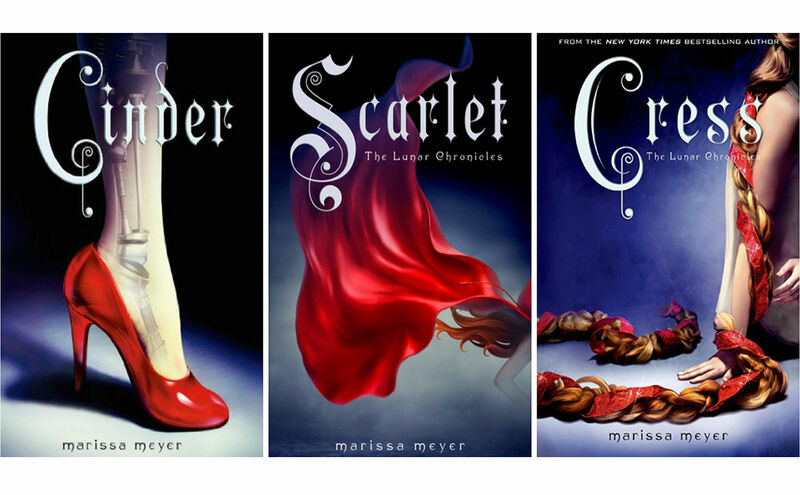 Each book entails a new take on an old fairy tale, including Cinderella, Little Red Riding Hood, Rapunzel and Snow White. The story takes place in a futuristic world where humans, cyborgs, and androids all coexist. I love them all, including Winter (not pictured). 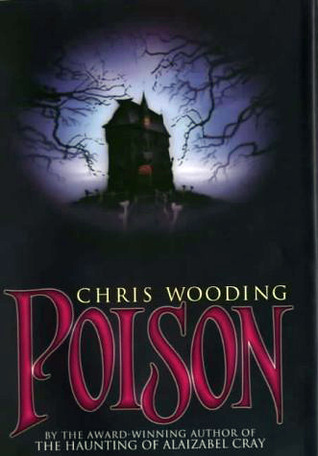 A brilliant, twisted, spirited anti-fairy tale from the amazing Chris Wooding. This one was a complete surprise. It has taken so many different fairy-tale elements to create a completely fresh, almost sinister world. I can’t rave about this book enough. It.was.Amazing. Holly Black is the Queen of the modern fairy-tale! Love, love, love! 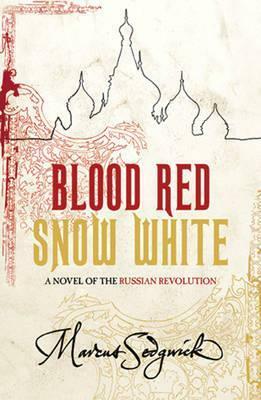 Blood Red, Snow White captures the mood of this huge moment in history through the adventure of one man who was in the middle of it all; Arthur Ransome, a young British journalist who had first run away to Russia to collect fairy tales. Told as three linked novellas, part one captures the days of revolution but retells the story as Russian Fairy Tale, with typical humour and unashamed brutality. Part two is a spy story, set over the course of one evening, as Ransome faces up to his biggest challenge, and part three is a love story, full of tragedy and hope, as every good Russian love story should be. I wasn’t sure if anyone could pull off a story about the Russian Revolution as a fairy-tale, but mannnnn, Marcus Sedgwick smashed it out of the park. Again! I saw the movie before reading the book and I don’t usually enjoy doing things that way round, especially when it’s been such a staple in my childhood, but I really loved the book too! When the family business collapses, Beauty and her two sisters are forced to leave the city and begin a new life in the countryside. However, when their father accepts hospitality from the elusive and magical Beast, he is forced to make a terrible promise – to send one daughter to the Beast’s castle, with no guarantee that she will be seen again. Beauty accepts the challenge, and there begins an extraordinary story of magic and love that overcomes all boundaries. 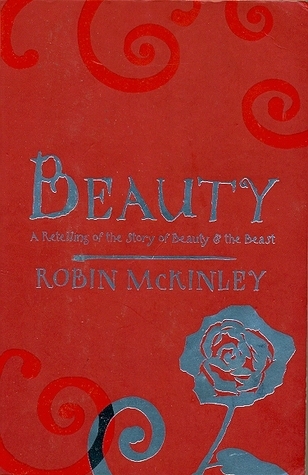 This is another spellbinding and emotional tale embroidered around a fairytale from Robin McKinley, an award-winning American author. Not all of Robin McKinley’s re-tellings have worked for me, but I really loved this one. When Alyss Heart, newly orphaned heir to the Wonderland throne, flees through the Pool of Tears to escape her murderous Aunt Redd, she finds herself lost and alone in Victorian London. Befriended by an aspiring author named Lewis Carrol, Alyss tells the violent, heartbreaking story of her young life. Alyss trusts this author to tell the truth so that someone, somewhere will find her and bring her home. But he gets the story all wrong. He even spells her name incorrectly! Fortunately, Royal Bodyguard Hatter Madigan knows all too well the awful truth of Alyss’ story – and he’s searching every corner of our world to find the lost princess and return her to Wonderland, to battle Redd for her rightful place as the Queen of Hearts. 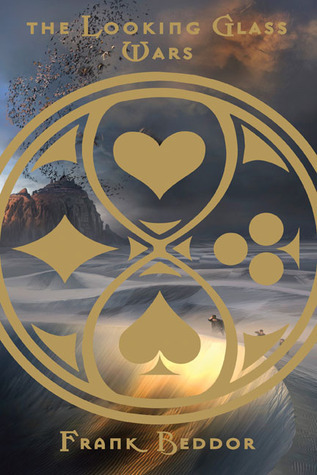 The Looking Glass Wars unabashedly challenges our Wonderland assumptions of mad tea parties, grinning Cheshire cats, and a curious little blond girl to reveal an epic battle in the endless war for Imagination. This was the first Alice re-telling that I ever read and it was great. Utter batshit, but great. I have no idea why I didn’t finish the series. Sigh. High in his attic bedroom, twelve-year-old David mourns the death of his mother, with only the books on his shelf for company. But those books have begun to whisper to him in the darkness. Angry and alone, he takes refuge in his imagination and soon finds that reality and fantasy have begun to meld. 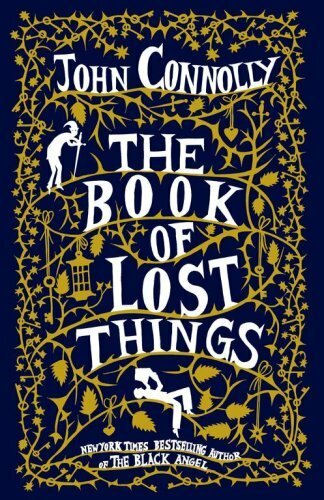 While his family falls apart around him, David is violently propelled into a world that is a strange reflection of his own — populated by heroes and monsters and ruled by a faded king who keeps his secrets in a mysterious book, The Book of Lost Things. Taking readers on a vivid journey through the loss of innocence into adulthood and beyond, New York Times bestselling author John Connolly tells a dark and compelling tale that reminds us of the enduring power of stories in our lives. This is such a beautiful book inspired by so many different fairy-tales you would recognise and lots of new ideas too. I loved that this book is clearly inspired by Russian fairy-tales. I’d love to know more about them. 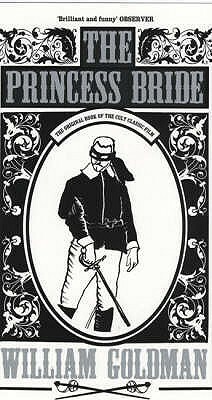 What are your favourite fairy-tale inspired books?